There’s no better way to start the day than with a delicious, home-cooked breakfast. Kick it up a notch by scrapping your usual breakfast menu and cooking something extra-delightful on the first day of school. Cinnamon rolls, homemade donuts, chocolate chip pancakes or another sweet treat can make a day that kids sometimes dread start off a little brighter. Or make a special treat for later in the day; give them something to look forward to (or better yet, make them together), like back-to-school cupcakes. Since your little one isn’t heading off to hop on the school bus, the traditional backpack-over-the-shoulder shot might not make so much sense, but it’s still a good idea to commemorate the start of the new year with a portrait. Let your child get dressed in their favorite back-to-school outfit and have them strike a pose wherever they’d like! Come up with a set of questions to ask at the start of each school year and watch as your child’s answers change as they grow and mature. You can take an old-school approach and write everything down, or go high-tech and capture the interview on camera with your smartphone or another device. Need something in a jiffy? 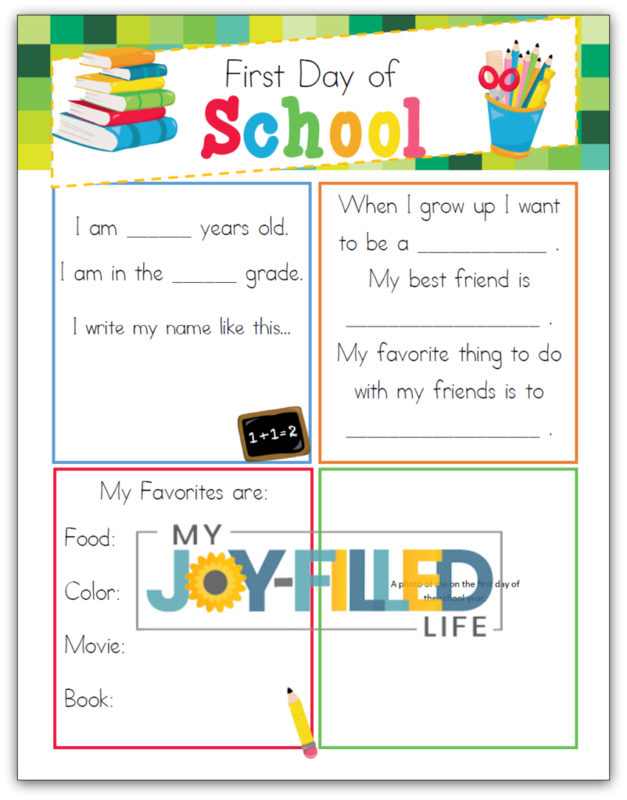 Click the link below for a FREE printable first day of school interview. One of the best things about homeschooling is the freedom to learn wherever you’d like! You can keep things close to home with a field trip to a nearby museum, farm or other local attraction, or plan a family vacation that doubles as a learning opportunity. As traditional schools resume, crowds die down in big cities, national parks, and other popular tourist destinations, making it the perfect time to visit. If you’re friends with a few other homeschooling families, plan a get-together to kick off the new year with a back-to-school BBQ! Although you may not all start classes on the same date, celebrate the spirit of the season and pick a weekend that works for everyone to fire up the grill and let the kids play. Setting goals at the start of the year is always a smart idea. Designing a vision board can be a fun way to let your homeschooler creatively capture their goals and ambitions on paper. Collect magazines over the course of the summer so your little ones have plenty of images to choose from for inspiration! There are dozens of different ways you can commemorate the start of the new school year – these are only a few suggestions. 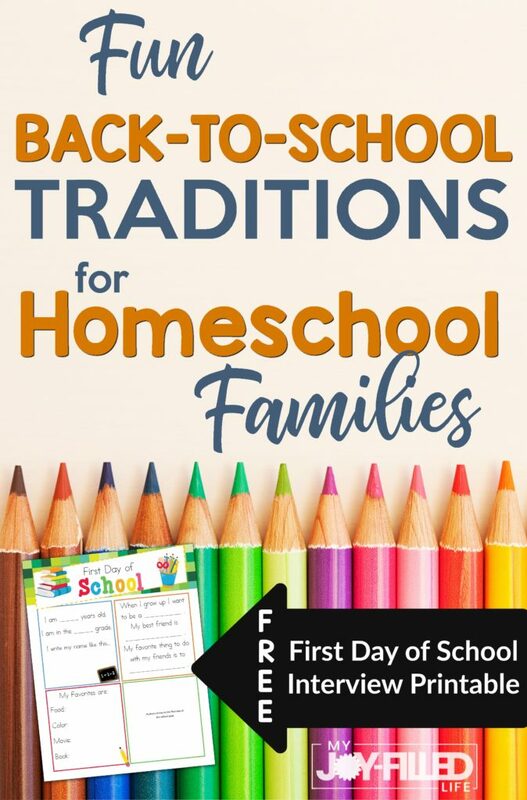 Does your family have any back-to-homeschool traditions to look forward to? Leave a comment and let me know! Hi Sarah! Thanks fir this great giveaway. Hope everyone has a blessed school year! I appreciate the reminder to make the start of school fun. Thanks for the chance to win and blessing others!! Cute printable for the Interview! Thanks!! Loved the first day of school ideas in this article! I already do a few of them, I will be adding in the special breakfast and first day of school field trip this year! 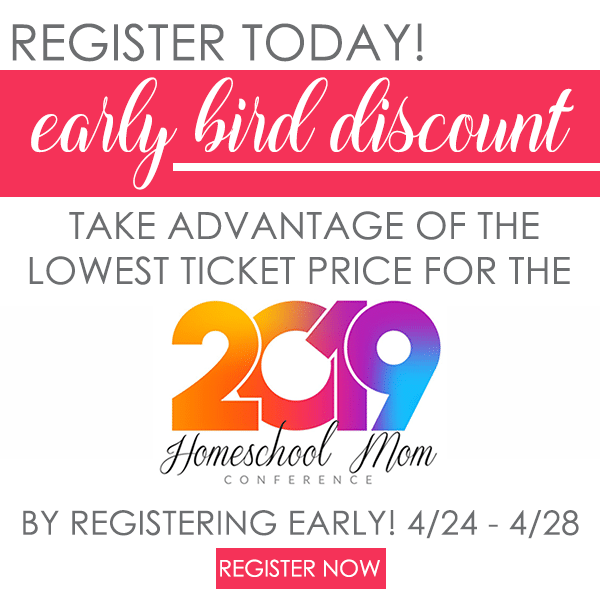 I really want my kids to be excited about our homeschool adventure. Thank you for the tips! love the idea of having a Homeschool Vision board! I love all the ideas! We love to make a big deL of the first day. We make a yummy breakfast. Everyone gets dressed up nice with cute/handsome hair and we take a few pictures. The kids love it! A back-to-school interview with one’s child sounds like a fantastic idea. It would get him to reflect and be a nice memento for mom as well. A back-to-school interview is a great idea! Thanks!! I like the Back to School interview idea. Great ideas to help kick off another year of home education in fun and memorable ways. Thank you for encouraging reminder to celebrate a fresh year of learning! I like the idea of special cupcakes for the first day of school! Great ideas for back to school day! You’ve inspired me to take a first day photo with my kids. Thanks! I like the idea of a back to school celebration bbq. 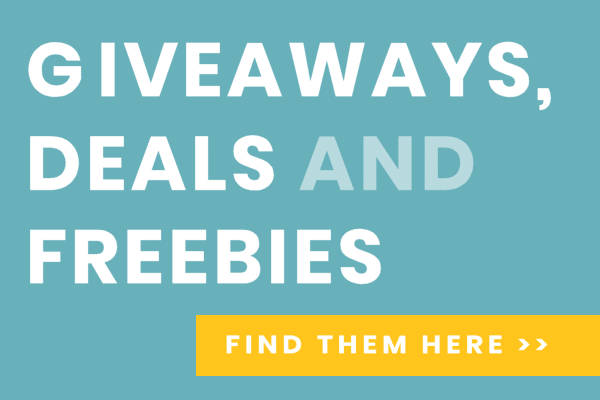 Thanks for all the freebies you post. It is nice to be able to do fun things within a budget! Love you blog! And thank you for your time and effort for homeschool moms like me! I enjoyed the fun ideas for traditions! I like that there many things to do for back to homeschool: I like the idea of the interview and also to start off with a field trip! I tried to get my kids interested in setting goals. Maybe a Vision Board would be a better place to start them. Great ideas! My kids love making breakfast together on our first day of school. 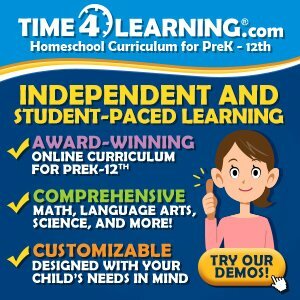 This is my first year homeschooling, and I’M NERVOUS! LOL!! I’m sure we’ll be fine. Thank you for these great ideas though! I came here for the Lego Math printables but found so much more great information!! Thank you!!! I’m a fan of vision boards and think it’s a great idea for homeschoolers. I’m a big fan of vision boards and love the idea of them for homeschoolers. I enjoyed reading all the fun ideas! I like the vision board. I’m going to try this! 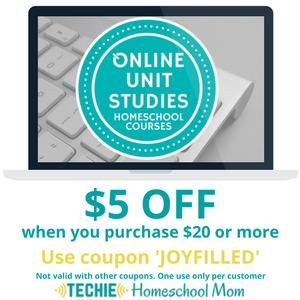 I learned about a great website where I can get teaching supplies for the young man I home teach! Thanks and God Bless! I would use the gift card for educational games! I love the vision board ida! Thank you for your cool and fresh ideas for possible to have fun the fist day of school. I Wish I didn’t have to have Facebook or Instagram to get entries into the contests. This is my first year ever doing homeschool and I am so nervous and pray this doesn’t turn into a nightmare. I will be starting with the boys this coming Monday and as I look at all my material and supplies I see I’m already missing things. Was anyone else scared to start the journey of homeschooling with your kids or am I just over thinking all this? 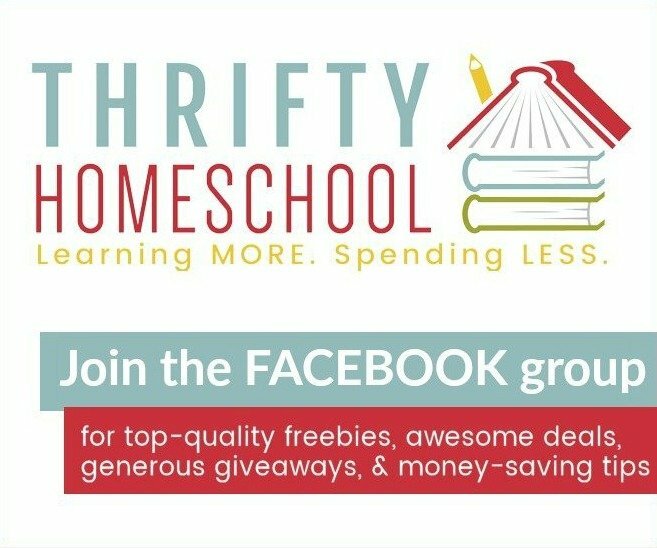 I am working on a homeschool vision board too, and making our homeschool mission/vision a focal point of our school space 🙂 What a great giveaway! 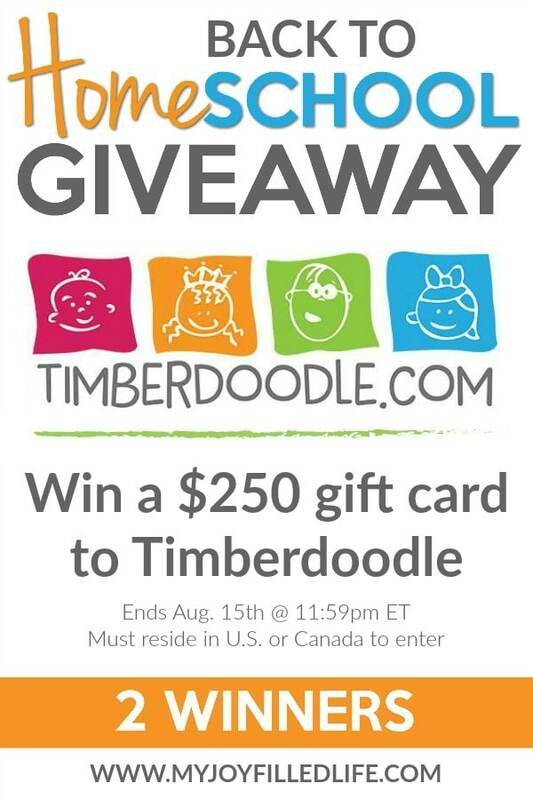 I was not familiar with Timberdoodle — it looks like a great resource! My favorite thing about this post is how you recommend starting the school year with a vision board and goals. When we start a new course, I have started kind of going over what the point of the class is, the kind of things we’re going to learn, etc. I remember being in school and just drudging through every day, not knowing where all the tasks we did every day were leading. Giving our kids a clear-cut idea of why we should study biology, church history, algebra, etc… can be very motivating and give our work more of a feeling of purpose. Thank you for the idea of making this more tactile by making it VISUAL! That’s such a great idea, and I plan to implement it right away! Thank you for all you do. Great Idea!! this is too amazing to read the blog I would suggest this to my daughter who will be glad reading this blog as she has just started homeschooling for her children. 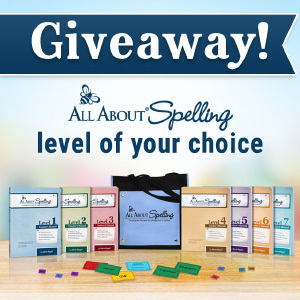 Keep writing such amazing blogs that will help every parent in homeschooling their children. What a great back to school ideas! Thank you for sharing this!